Tall, pointy ears or long, droopy ears? Tiny, fluffy bodies or large, regal bodies? Many varying characteristics go into what makes certain dog breeds the best-looking dogs. All dogs are cute, but we took some of the most popular choices out there to develop this list of the 15 cutest dog breeds. Learn about their temperaments and care requirements to discover whether any of these beautiful dogs are right for you. 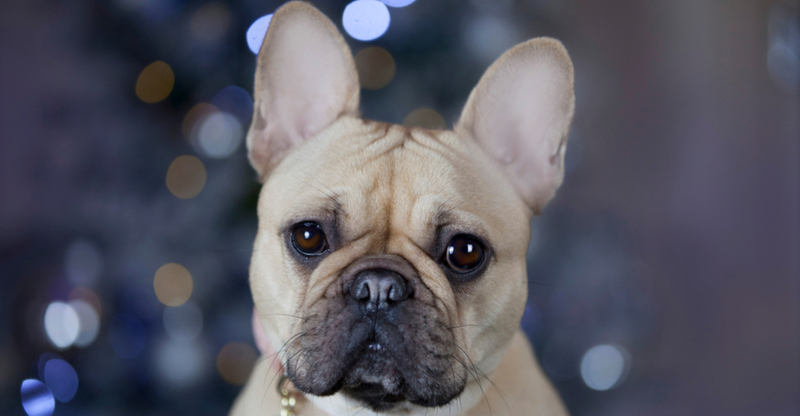 Short-snouted and bat-eared, it’s no wonder the French Bulldog qualifies to many as a cute small dog breed. His comical expression matches his comedic personality; he loves playing and entertaining his family. For you snugglers out there, you’re in luck. The Frenchie also enjoys cuddling and snoozing with his favorite person. Good to know: The French Bulldog snores, may wheeze and drool, and his facial wrinkles should be regularly cleaned. His bouts in hot, humid weather should be limited. One of America’s all-time favorite breeds, the Beagle is a friendly, intelligent pack dog that thrives on the company of other dogs and people. With his long, droopy ears and big brown eyes, he is gentle in nature, incredibly tolerant and is always ready to join in a game or an adventure. Good to know: The Beagle often barks and howls and yearns to explore the outdoors. Short legs. Tall ears. Long body. Big smile. 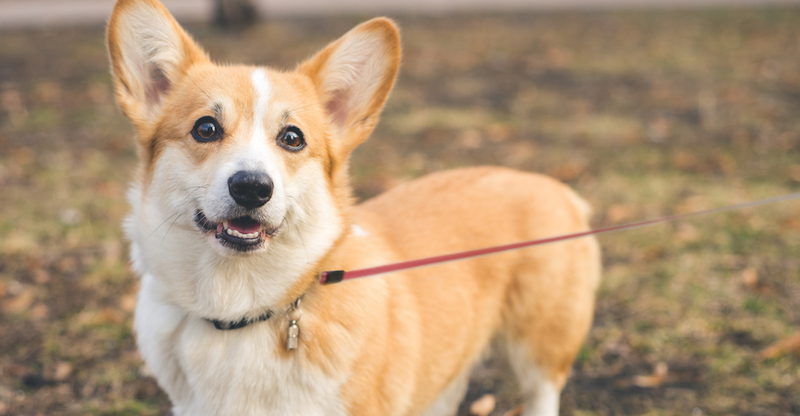 This string of descriptors undoubtedly portray the adorable Pembroke Welsh Corgi. Her love, loyalty and quick-wittedness certainly qualify her as one of the cutest dog breeds for many dog-lovers, both inside and out! Bonus: The Corgi is often good with children. Good to know: Many Corgis bark a lot and need daily physical and mental exercise. Their thick coats require brushing weekly. One of the most popular breeds in the U.S., the Golden Retriever is a large, sweet-faced, kind-eyed dog. As you can tell from her picture, it is no wonder she frequently makes the cut for cute puppy breeds lists, too. She is intelligent, patient and loves people. Her favorite activities include learning and games that involve retrieving and carrying items in her mouth. Good to know: The Golden requires daily physical and mental exercise and human interaction. This cute dog breed comes in a variety of sizes and colors, but one physical feature remains constant: his elongated body. Affectionately nicknamed “wiener dog,” the Dachshund is fearless, curious and lively, with a superior sense of smell. He is exceptionally playful and gets along well with children, making him an ideal family pet. Good to know: Dachshunds tend to bark, but good ways to burn off some of their energy are daily walks and games in the yard. Clearly one of the many beautiful dog breeds, the large, tri-colored Bernese Mountain Dog has a long, thick double coat that protects her in cold conditions. She is calm, confident and extremely devoted. She loves the outdoors, especially cold weather, so she’d appreciate a good hike or walk on a leash each day. 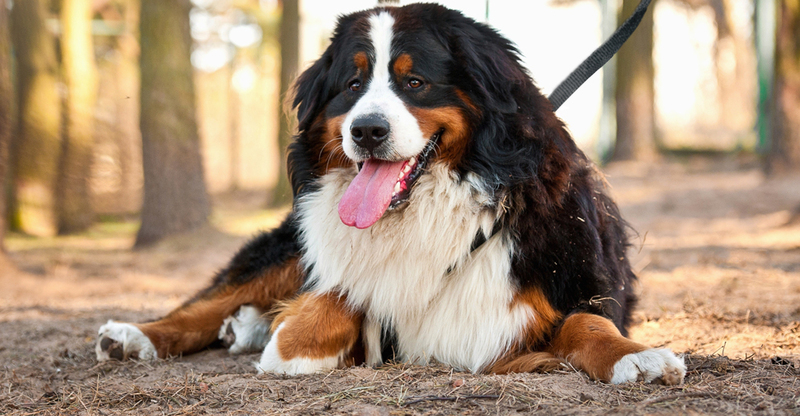 Good to know: The luxurious coat of the Bernese Mountain Dog requires frequent brushing. Named for the Yorkshire area of England where they originated, Yorkshire Terriers have become one of the most popular breeds in the U.S – and are considered one of the cutest small dog breeds. This toy-sized beauty has a long, luxurious coat. She is brave, determined, energetic and investigative, ever eager for adventure. 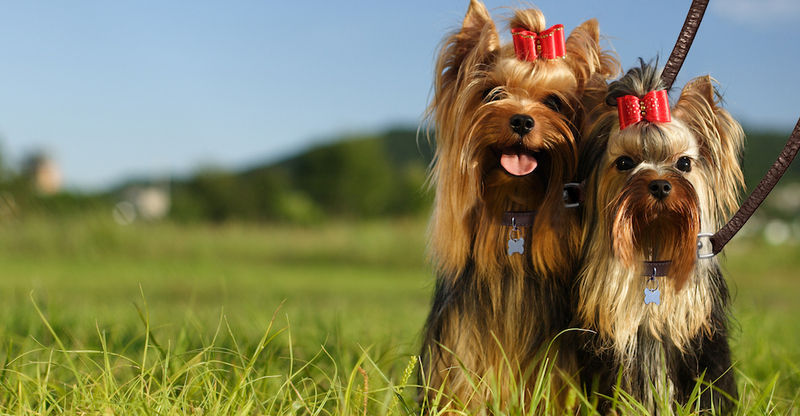 Good to know: Yorkies thrive on games and interaction with family. Their long coats need brushing every day or two. 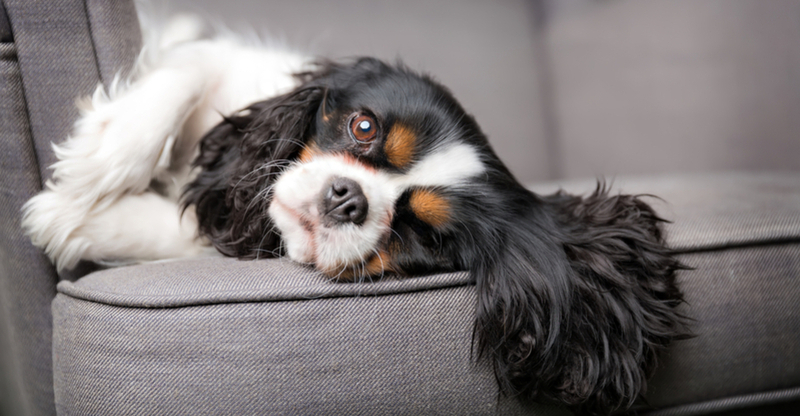 A namesake of King Charles II, this beautiful dog is best recognized by her long, curly ears and puppy-dog eyes. The Cavalier King Charles Spaniel is an enthusiastic, eager-to-please and affectionate cute small dog breed that flourishes on companionship. She is sweet, gentle and playful. Good to know: Cavalier King Charles Spaniels love to explore, sniff and chase. Their long coats need daily brushing and regular grooming. 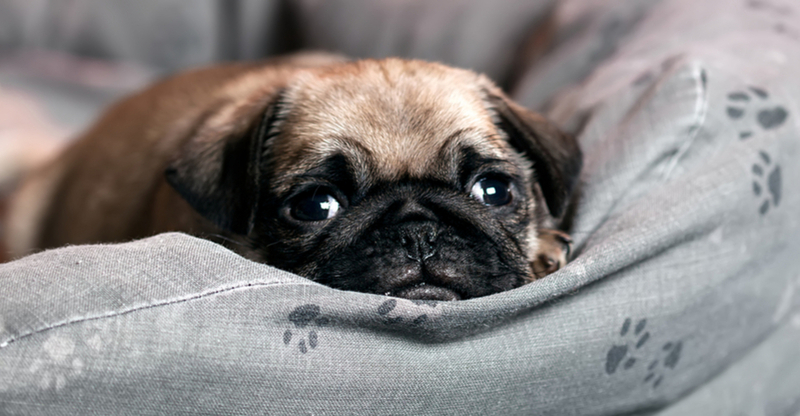 The darling short-nosed Pug with wideset eyes is popularly deemed one of the best-looking dogs. His comical, playful and mischievous tendencies are sure to bring adventure to your household! He may like to show off, but he balances his quirky personality with his loving disposition. Good to know: Pugs wheeze and snore, and their time outdoors in heat and humidity should be limited. Their facial wrinkles need to be cleaned regularly to prevent skin infections. Her miniature body, ultimate fluff and sweet, smiley face easily contribute to the Pomeranian’s identity as one of the cutest dog breeds. She is an animated extrovert with great intelligence and a vivacious spirit. Her protective demeanor makes her a natural watchdog, barking to alert the family to visitors. 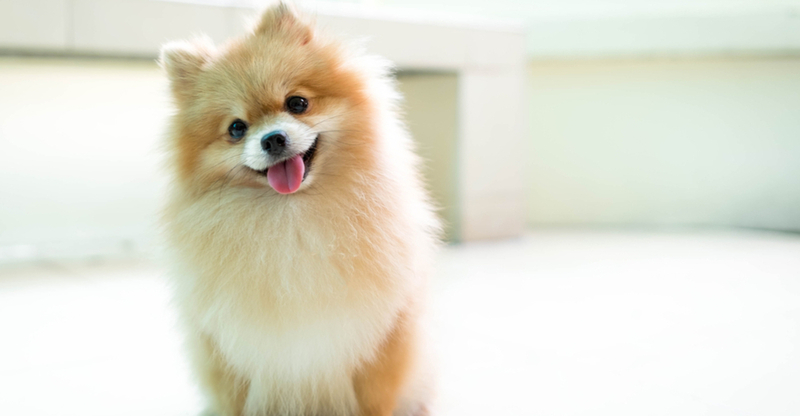 Good to know: Some Pomeranians bark a lot, and their double coats need regular brushing. 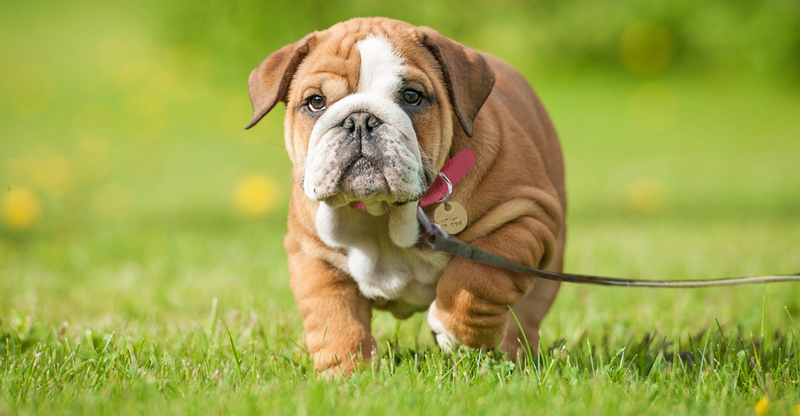 Stocky, long-jowled and abounding in rolls and wrinkles, the English Bulldog wins many dog-lovers’ votes as a cute puppy breed and one of the best-looking dogs as an adult. He is jovial with a lovable disposition, but he is also resolute and courageous. Good to know: Bulldogs wheeze and snore, and some drool. They enjoy daily outings, but cannot tolerate hot, humid weather and should not be expected to jog or walk long distances. Their facial wrinkles should be cleaned daily. This small, white powder puff is understandably deemed by many as one of the cutest dog breeds, considering the noted Spanish painter Francisco de Goya depicted the Bichon Frise in a number of his works! 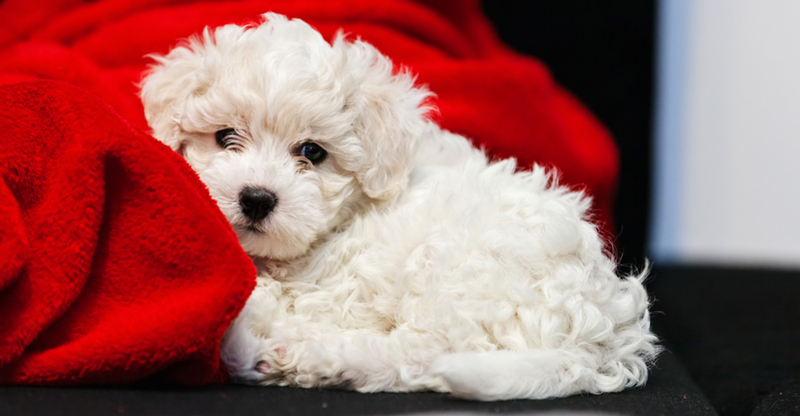 Known for his merry temperament, gentle manner, sensitivity and affection, the Bichon makes an excellent family companion. Good to know: The Bichon barks a lot, loves activity and needs daily exercise. His coat doesn’t shed, but it needs brushing every other day to prevent mats. 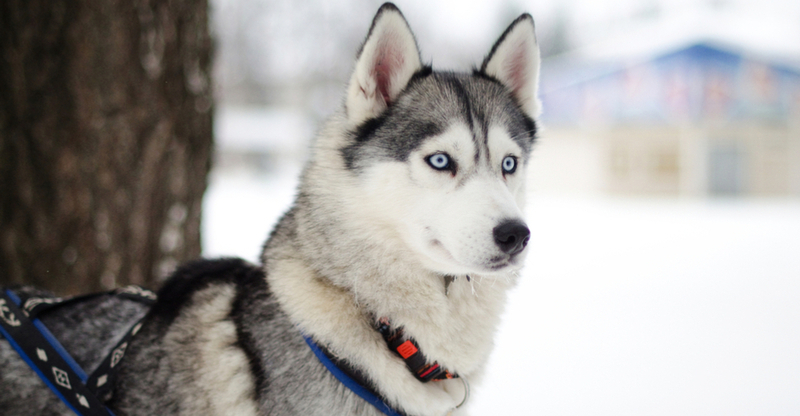 Stunningly blue-eyed, the Siberian Husky is commonly included in lists of cute puppy breeds. Fun-loving, adventurous and clever, she is known for her athletic endurance. When fully grown, she retains a regal beauty. Good to know: Huskies require ample daily exercise, like a long jog. They are very social and need human or canine companionship. This white, beautiful dog with flowing fur might blend into the snow if you don’t look closely enough! 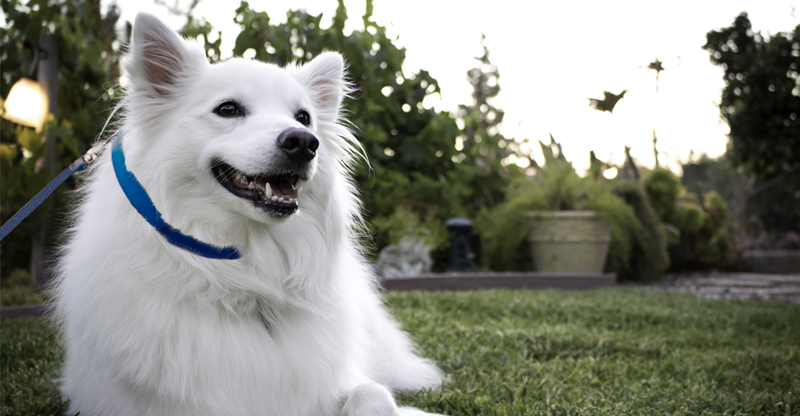 The American Eskimo Dog is highly intelligent, bright and lively. She loves to run, especially in cold weather, and is incredibly agile. A vigorous game in the yard or a brisk walk will satisfy the Eskie’s need for a good workout every day. Good to know: The Eskie’s double coat needs regular brushing, especially when she’s shedding. 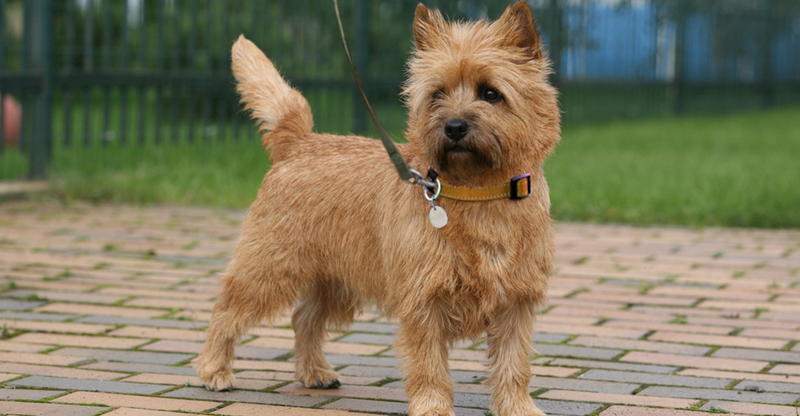 The spirited little Cairn Terrier has a compact body and broad head with a bushy topknot and eyebrows. He is inquisitive, stubborn and scrappy, yet surprisingly sensitive. His favorite activities are digging, sniffing, exploring, chasing and barking. Good to know: Cairn terriers need daily physical and mental exercise. Their shaggy, wire coats need weekly brushing. Of course, it’s entirely up to you to determine what characteristics deem a dog breed cute or beautiful. Whatever your preference, plenty of breeds and mixes are available for adoption right here. 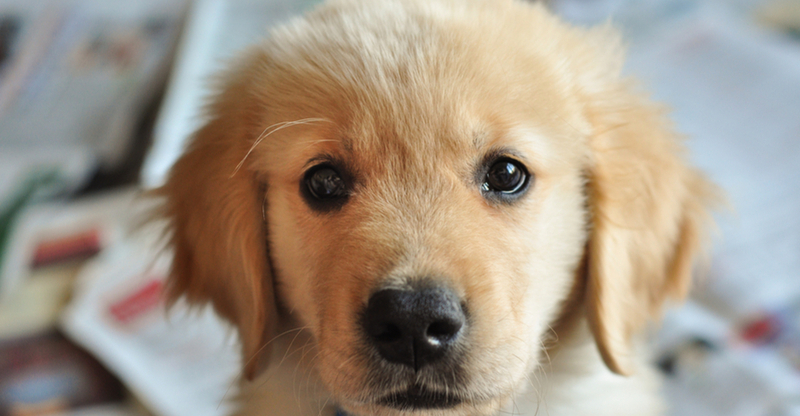 Whichever one you choose, he or she makes the list of cutest dog breeds in our book! Note: While the breeds in this collection are often considered cute, personal preferences vary. Please consult the adoption organization for details on a specific pet. French Bulldog’s comical expression matches his comedic personality. 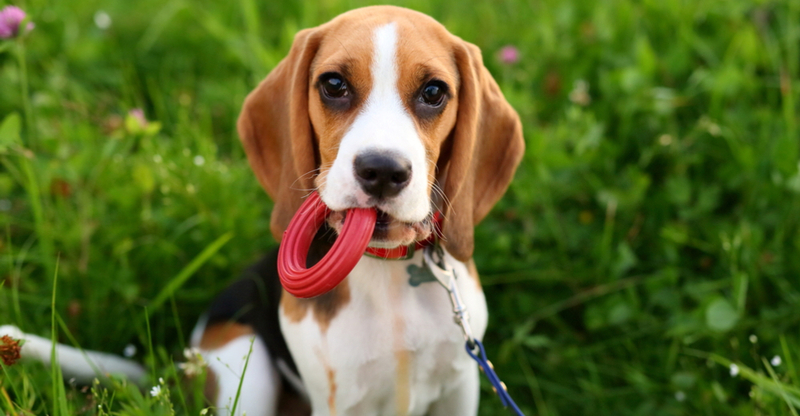 The Beagle is a friendly, intelligent pack dog that thrives on the company of other dogs and people. The Corgi is often good with children. One of the most popular breeds in the U.S., Golden’s are intelligent, patient and loves people. 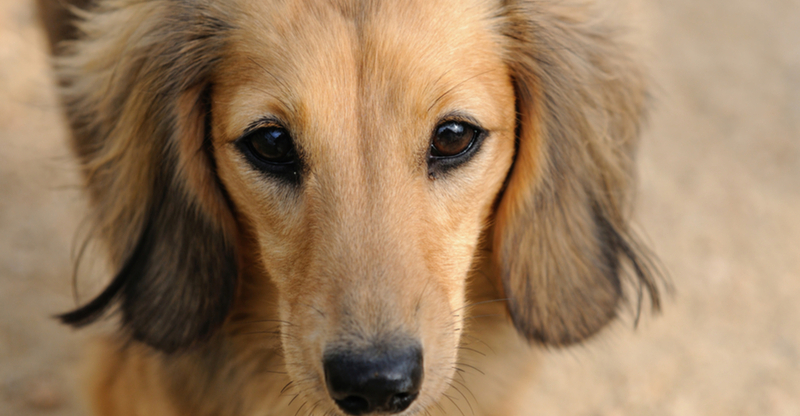 Affectionately nicknamed “wiener dog,” the Dachshund is fearless, curious and lively. Bernese Mountain Dog is calm, confident and extremely devoted. Yorkshire is brave, determined, energetic and investigative, ever eager for adventure. Cavaliers are enthusiastic, eager-to-please and affectionate who flourish on companionship. Pug’s comical, playful and mischievous tendencies are sure to bring adventure to your household! Pomeranians are animated extrovert with great intelligence and a vivacious spirit.